During the last seven years Barrie Tullett and his colleagues have produced a prodigious number of titles. 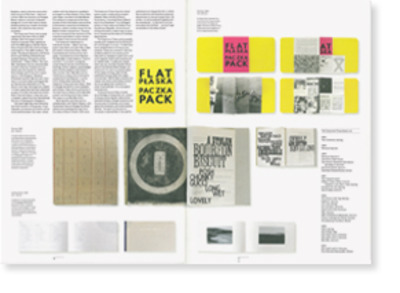 Characterized by their richly varied form, they frequently combine a diverse mix of formats, typography (both formal and vernacular), illustration, and photography – interwoven with texts which in many cases are conceived and written by the designers. Barrie’s energy and enthusiasm must be contagious for such prolific output to be maintained while so much British art and design education has become formulaic. Clearly he is able to orchestrate both his colleagues amongst the staff at Lincoln and elsewhere, and students to produce work which is stimulating in both its content and form.